SLPL’s mission is to provide learning resources and information services that support and improve individual, family and community life through a variety of services, programs and initiatives. The services include tools and collections for business, individual or organizational research and informational needs. Programs exist to bring in popular and timely speakers and authors to our Branches throughout the city. Numerous discussion groups encourage reading for entertainment or learning and reach children and adults at every age and walk of life. Other special services include: free Wi-Fi access, outreach to new English speakers, visits to schools to share storytelling and books, book deliveries to senior citizen centers, computer workshops and orientations for grant-seekers. 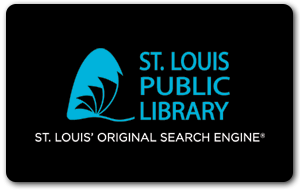 As always, the St. Louis Public Library continues to seek new and effective ways to better serve our community.